Peyton and Syndey, brother and sister, couldn't be more different from each other. They're separated by not only personality, but today,by tables of lawyers in a courtroom. Peyton, the gregarious, daredevil, is being tried for a felony crime. Sydney is quietly sitting beside her parents, hiding her feelings, being a good girl. It's been that way for as long as Sydney can remember. Even as children, Peyton stole the energy and light from the room. Now, as a teen, Sydney is hidden even farther away from the family dynamic. After Peyton's conviction, her mother is personally entrenched in Peyton's situation and being the supportive parent her son needs. Sydney's father doesn't help; he's allowed her mom to make all major decisions and never speaks up. But she isn't quite invisible. Peyton's friend Ames, is willing to help out the family whenever they need him. Again, Sydney hides the trepidation she feels around him because her mother trusts him implicitly. Whatever is best for Peyton. Layla and Mac, brother and sister, couldn't be more different from each other. Layla is the one with the effervescent personality and goes through life headfirst and headstrong. Mac is the one who is the rock, balancing his sister and his family's business while studying as hard as he can with that glimmer of hope he'll be able to leave this town and pursue his dream. Their mother is involved in their lives but with love and wisdom while their father runs their pizza place successfully. Layla and Mac enjoy spending time together. Layla may not play in the band Mac is in, but she does show up to every show, creating that energy only she can create. 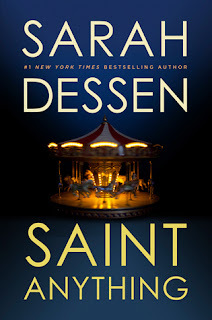 Sarah Dessen, delivers with her newest young adult novel. What makes this novel work so well is the depth she writes about concerning relationships on all levels, emotional and internal conflict, growing up, and personal dreams and goals. This isn't a sugary sweet book for girls - this is real life, which can be ugly, dangerous, and poignant. 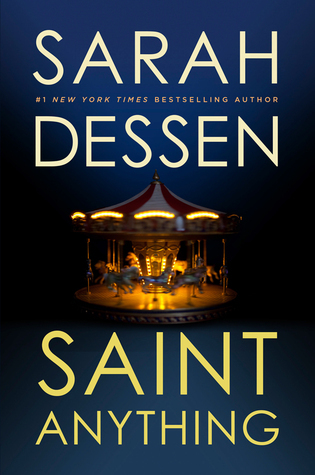 Dessen balances these traits of real life with honesty, trust, and convictions. The reader gets to live in both households and see how the other half lives, which is the strength of this novel. Full of opposites, it creates balance. Oh, I have no qualms this book will blow off the shelves, never to return. Better buy two copies! HIGHLY recommended upper junior high/high school.